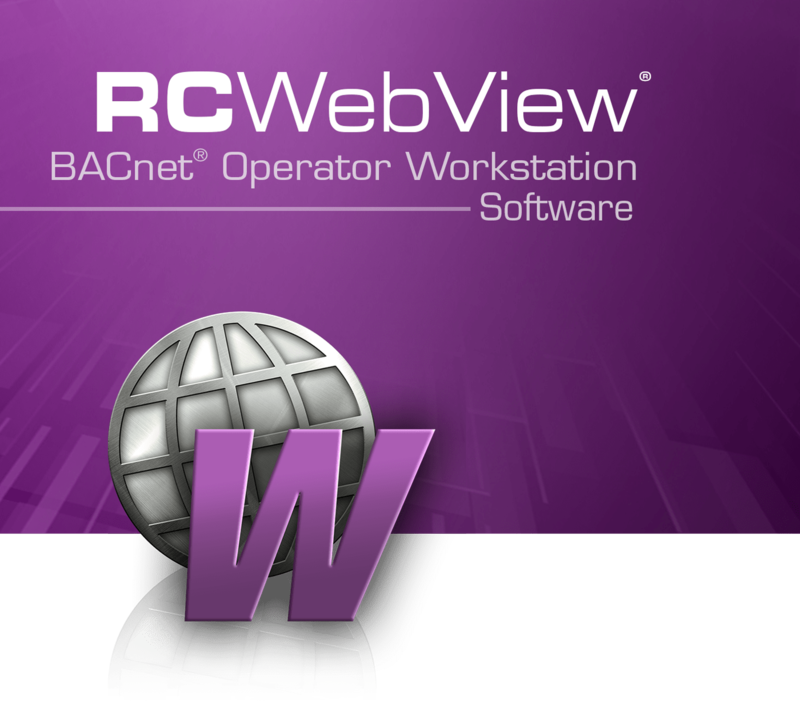 Web server that meets or exceeds the BACnet Operator Workstation profile (B-OWS). Access any 3rd party Internet-connected BACnet system configured with System Groups. Access and edit BACnet Inputs, Outputs, Values, Schedules, Programs, Groups, Alarms, and Trend Logs. Graph and print Trend Logs and Runtime Reports. Add multiple existing BACnet IP systems to a single Enterprise Website (IP connections limited by licenses purchased). Access an Enterprise Website using a Single-Sign-On (SSO). Access Active Directory authentication or use local authentication module. Create scalable and fully customizable user interfaces with Enterprise Schedules, Navigation Groups, Navigation Trees, and Users. Create nested background image maps that can be populated with multiple objects and links for seamless navigation. Links can be web URLs and RC-WebView visual elements such as System Groups, Schedules, other Navigation Groups and alarm summaries. Create a unique menuing system for any user or user role within the entire enterprise. Create hierarchical and exception schedules across multiple devices and multiple systems. Block schedules allow any existing schedule to be assigned as a member of a named list that can be enabled/disabled according to a user-defined schedule. Cleanup Configuration service automatically or manually clears out expired events. View a list of pending updates using the Enterprise Schedule Queue feature. Allows building tenants to request, and managers to approve, zone operation outside of regularly scheduled periods. Report feature summarizes after hours activity and associated costs. Password expiry and lockout features to support 21 CFR Part 11 requirements. Automatically records every change made by a user. Tracks alarm properties, and allows user-configurable or context-sensitive filtering. Controlled by password security level. Flexible permissions allow administrators to configure the accessibility of all objects and services per user or by user role. Access and manage banner images, Navigation Group graphics, and logos. Back up and restore BACnet Devices. 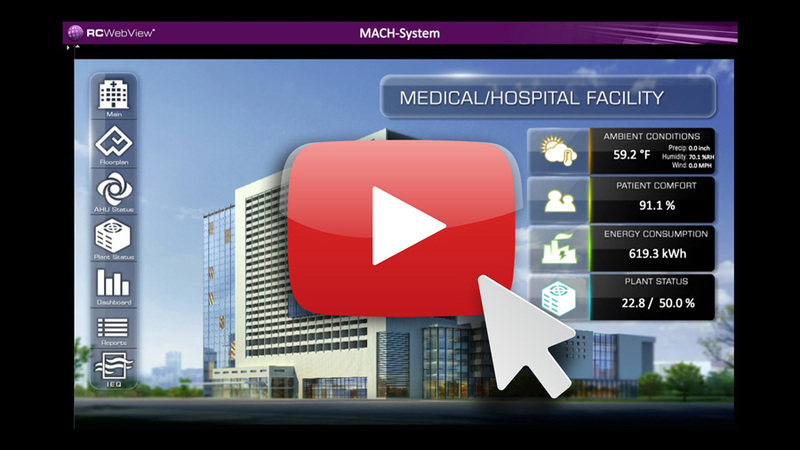 Displays global alarm summary from all systems within an Enterprise Website. Numerous alarm properties (i.e. Alarm Time, Type, Message, State, etc.) can be toggled for display by user. Alarm columns can be repositioned by user. New alarms appear as convenient pop-ups. Notification Classes worksheet configures alarm properties, broadcast destinations, and email recipients. Parameters within the email title and body are entirely configurable. The email message can also be configured to include links which when clicked, conveniently redirect the user to specific areas within RC-WebView related to the alarm. Editor for writing Program code, including syntax highlighting, trace flags, and Watch lists. Create, view, and edit the worksheets for Single-Point Trend Logs, Multipoint Trend Logs, Notification Classes, and Programs. When enabled in RC-Studio 3.6.1 or higher, RC-WebView can serve as a repository for storing and distributing the files contained in the Resource Files section of the Resource Manager. Licensing is limited by the number of unique IP connections. Up to a maximum of 500 IP connections per server. 12 month updates subscription included with initial license purchase. Software continues to function regardless of subscription state. No penalty to renew expired subscriptions. All hardware rated for continuous server operation. Intel Xeon E3 3.10GHz, or better. 4 cores must be available for RC-WebView*. Hardware RAID in a redundant performance configuration with 10K RPM SAS drives or better. 15 GB hard disk space free. Internet connection required for software download and installation. Gigabit Network Interface Card (server quality). Windows Server 2012 R2 Standard - Windows Server 2016. Microsoft SQL Server 2014 (x64) - Microsoft SQL Server 2016. Router with firewall enabled (Broadband network connection with a minimum upload speed of 1 Megabit per second). Maximum Configuration: 500 connections per server. * When multiple products are installed on a single computer: 2 cores per product, plus at least 2 cores for the SQL database.